Hi, do you have mp4 copies of rescue bots? Ok, well thanks for your time. Have a blessed day! You have a cosmic space dino as your avatar. That's just awesome. You're old, mate. Yesterday's model. You're junk, that's what you are. Junk! I'm on the fence about it. I want to see Megatron or at least learn more of his whereabouts. I also would love to see the rest of Team Prime come back. I don't mean the ones we seen in season three of Prime I mean Predacons Rising Team Prime with Knockout. We got a slight cameo, maybe that's foreshadowing. 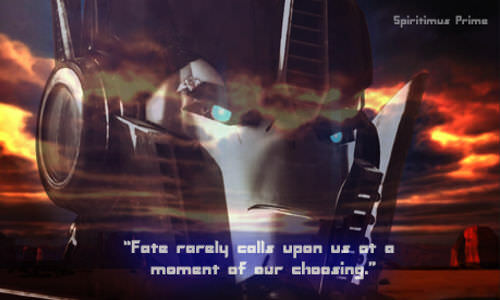 What are your thoughts on Starscream returning? Hey Spiritprime, hope you're doing well with things at the moment! why "I guess?" is something wrong? "Whenever you look to the stars, think of one of them as my soul."